The Gras 314 is a ceiling lamp with two adjustable arms, adjustable independently of one another. It brings style and an interesting rhythm in any kind of interior, either above a dining table, a central island unit, or even in a living room. 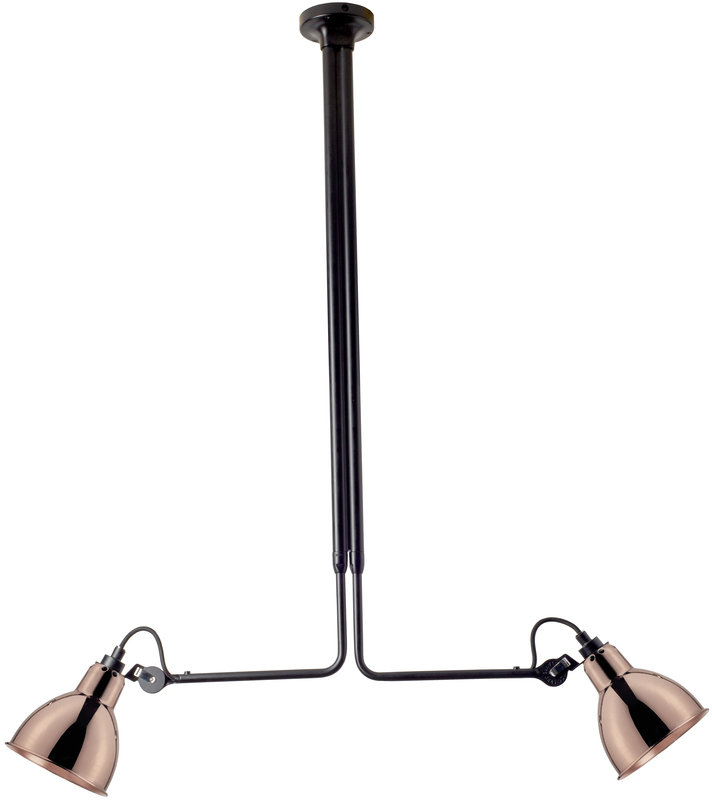 The Gras 314 ceiling lamp belongs to the "Plumb bob" series of the Gras lamps. Frédéric Winckler – one of the founders of DCW Éditions – explains: "this is a lamp which always looks great, in any environment."